Where Marcos Ortega's 2010 debut was a rather static affair, Ask the Dust establishes the young producer as one of the most dynamic and distinct talents on Ninja Tune's impressive roster. Marcos Ortega seems like a nice enough guy when you see him walk down the street. Yet, when he puts the weight of the name Lorn on his shoulders, the unassuming Milwaukee gentleman becomes a cerebral pan-dimensional beast that uses electronic incantations to draw power from realms unknown. He ceases being the man, and becomes a conduit of ancient and mysterious forces. Granted, Lorn's 2010 debut album Nothing Else was a rather static affair. It was chock-full of good ideas, but it didn't have a whole lot of dynamic range. It was a very hot album, a consistent assault on the sense and about as subtle as a jackhammer. Demonstrating his artistic development, Ask the Dust is a significantly more complex record. 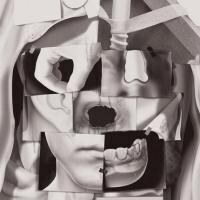 That's not to say there isn't stadium level bass on this album, but that, in part through his more liberal use of side-chain compression and gating, Lorn allows the tracks to breathe. He leaves a little more room for the listener to find their space within his compositions, so that they may come to the music on their own terms, rather that being bludgeoned into submission. Ask the Dust shows more timbral distinction and originality in Lorn's aural palette. There's more atmosphere and movement, more rise and fall, more of an idiosyncratic voice on which one can hang their hat and say, "That is Lorn." There are also far more vocals on this album than his debut. Amazingly, where the likes of Raoul Sinier and Tim Exile smothered their otherwise spectacular productions with rather monotonous vocals, the use of the human voice on this album doesn't come off like a vain attempt by Lorn to appeal to a new market. In each instance of their employ, sparsely placed through the track listing, all the vocals are markedly different from one another. Leading with a warped, nonsensical loop, the vocals in "Weigh Me Down" appear organically, seemingly pulled out of the ether, while vocals employed in "Diamond" are so heavily processed, they melt into the synthesis surrounding them. Other times, like the canned chorus and slight wailing on "The Well", vocal sounds are simply used as an instrument, never coming close to forming complete words. Lead single "Ghosst(s)" features raw samples of what sounds like a cello, slowed down so that the individual vibrations of its strings are audible, just like when you program a square wave oscillator to a frequency below 20hz and begin to hear it as individual events rather than a continuous tone. In this track, the vocals are sluggish but high pitched, making them a counterbalance and compliment the low string sound. This brings up another key point of the album: its seamless incorporation of strings and other organic sounds. Lorn's progressed skill in the studio gives Ask the Dust fingerprints where his debut came off as bare as a Ken doll. His quality of sample recordings, sophistication in signal processing, and taste in editing blends the sounds so seamlessly with his synthesis, it's nigh impossible to tell what is actually what a good majority of the time. The whole album is soaked in this lucid ephemerality, this slight grasping at what exactly it actually is one is hearing and how it should be received. Perhaps that's part the reasoning Lorn chose the title of Ask the Dust, plucked from John Fante's 1939 proto-Beat novel. It's an appropriate title for an album this haunting, this layered with wisps of shadowy movement caught out of the corner of one's eye, the last words of those who died alone attempting to connect with the right set of ears, anything that might understand. Indeed, this is a thing of frightening beauty.